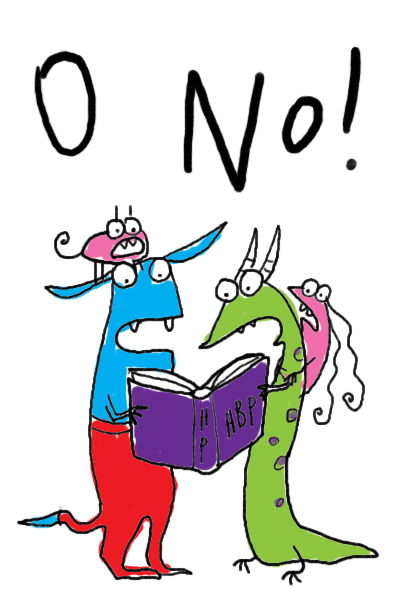 Monster #183 — No way! I actually slammed the book shut at this point. 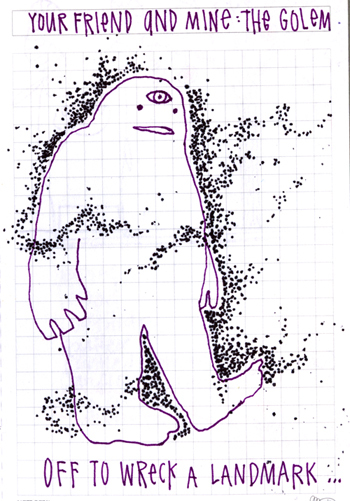 Monster #169 – Beware the trouserman! I just finished reading The Nation by Terry Pratchett. Trousermen was what the main character in the story, who lives on a fictional island in the fictional-south-fictional-Pacific sea, called Europeans. It’s supposed to read Beware the Trouserman! 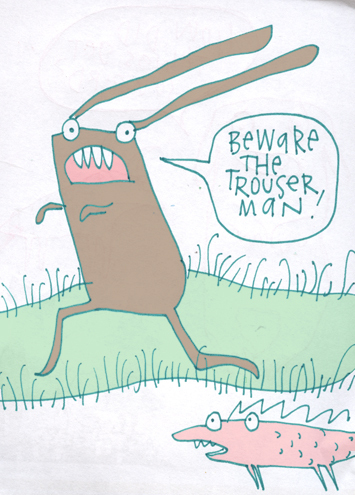 but it kind of looks like Beware the Trouser, man. 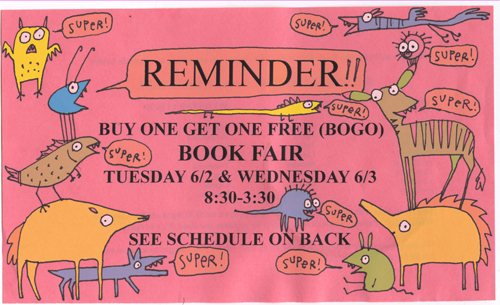 Which is slightly different. 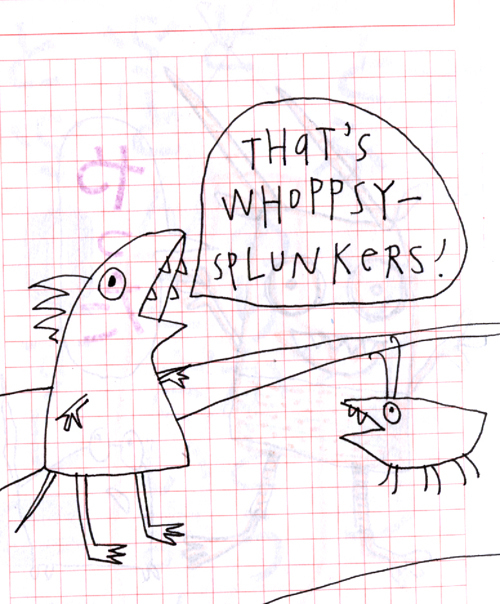 Monster #130 – whoppsy splunkers! 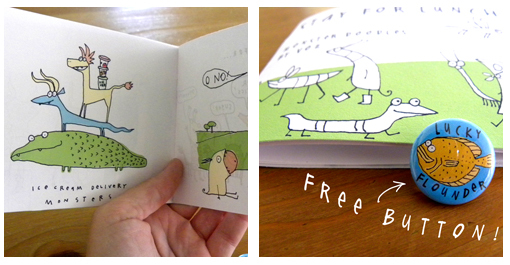 My son and I just finished reading The B.F.G. by Roald Dahl. My vocabulary has just expanded to include disgusterous, sickable, rotsome, and filthing, which all mean just what you’d think they mean. 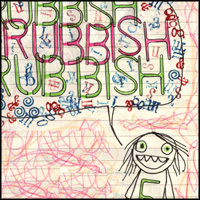 Whoppsy Splunkers, however is totally different, it’s more like delumptious, sweet and jumbly, or absolutely squiffling. My son and I have been reading The Golem’s Eye by Jonathan Stroud. It’s a little slow-going for an 8 year-old, there’s lots of talking between the action, but there are characters that more than make up for it. Last night we got to the part where the golem is trashing the British Museum. At that point in the story we don’t know for sure what it is (unless your mom tells you) and it’s covered in a blackness that hides its form. My son had an “OMG! WHAT’S GOING TO HAPPEN?” look on his face through the whole thing. I had to keep myself from looking at him because it was so comical. Cracking up would’ve ruined the story. 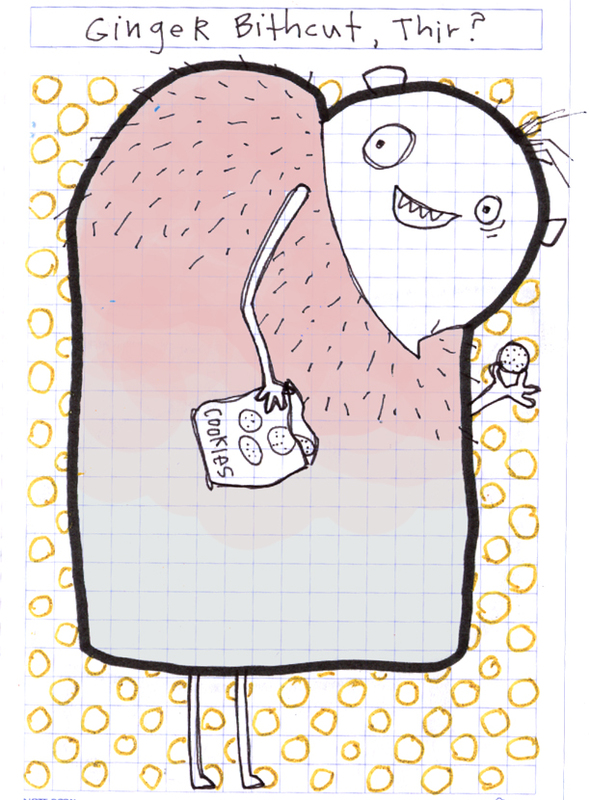 Anyhow, the golem. He’s made of clay and he breaks stuff. But it’s not his fault.